I finished watching season one of Sleeper Cell. It’s a Showtime Network program and I’ve heard nothing but great things about it. I was told that it would “rock my world”. I was told that I’d love it. And I was also told that it would make my grass greener and more lush. Sleeper Cell was one of the greatest television shows made since The Rookies. My world wasn’t rocked. I didn’t love it and my grass is just as brown as it has been since the drought jumped all over North Carolina. Sleeper Cell only got 3 out of 5 stars for me. I never felt any sense of urgency for the undercover character. I never felt like the cat was in danger. And I never really cared either way about the dude. The whole show seems as nourishing as a lone piece of white bread. My mind kept drifting off while I was watching it. I wouldn’t even rewind to see what they hell they were talking about during my thought excursions. A sign that the show just wasn’t doing it for me. I’m not pushing onward. Season two has NOT been added to my queue. Now I’m getting on board with Weeds. I’m very hopeful about that show. --What did you do for New Year’s Eve? I mainly sat around and watched TV Land’s marathon of The Beverly Hillbillies. I thought about watching a few episodes of The Twilight Zone marathon on the SciFi Channel, but they always show the same tired ones over and over again. Finding out that “To Serve Man” is a cookbook only works for me the first 273 times. The Beverly Hillbillies still make me laugh out loud no matter how many times I see them. The Hillbillies are pure genius! The show never fell out of the top ten while it was on the air. It was that good! He says that it’s a funny show and Granny is his favorite character, but he doesn’t like it enough to watch. What kind of crazy thinking is that??? And why do those Hillbillies haters hate so much? They will go into great detail telling you how much they don’t like the show. They will even make faces to show their disgust with one of the greatest shows of all time. A show that holds and will continue to hold the record for most viewers for a half-hour sitcom… “Giant Jack Rabbit”. I’m a little peeved that The Beverly Hillbillies may never make it out as season collections on DVD because some of the episodes fell into public domain. But I am excited to see that TV Land are streaming full episodes online! So all you haters out there with time to waste at work can rediscover a great show on the Man’s dime! I caught a few of The Beverly Hillbillies episodes from the marathon. Last night we watched The Partridge family from Netflix. 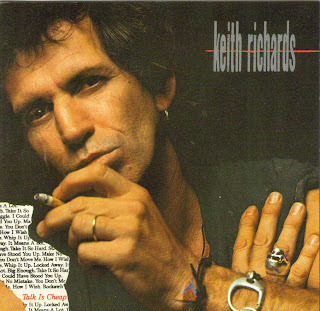 Keith was so groovy. How does your heart feel about Reuben Kincaid?